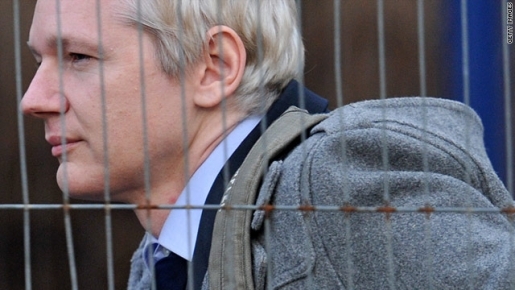 Even in jail, Wikileaks founder Julian Assange is easily able to court controversy. Not content with toppling governments, Wikileaks is turning its attention on the institution of the secret Swiss bank account. Long a staple of espionage movies and organized crime pictures, the iconic secret Swiss bank account is being taken on by Wikileaks and self-styled activist/reformer/banker Rudolf Elmer, with Wikileaks set to leak the secrets of Swiss banking to the world. Rudolf Elmer is scheduled to go on trial in Switzerland for violating the country’s banking secrecy regulations. He’s worked for six different massive banks in his career, from the Cayman Islands to Switzerland. Elmer previously worked with Wikileaks founder Julian Assange on a banking secrecy lawsuit in 2008; Wikileaks’ Swiss bank accounts have been recently frozen as part of the CIA’s Operation WTF.